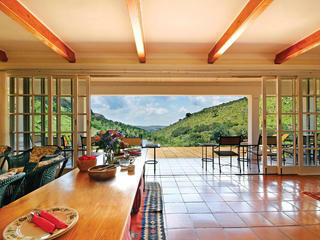 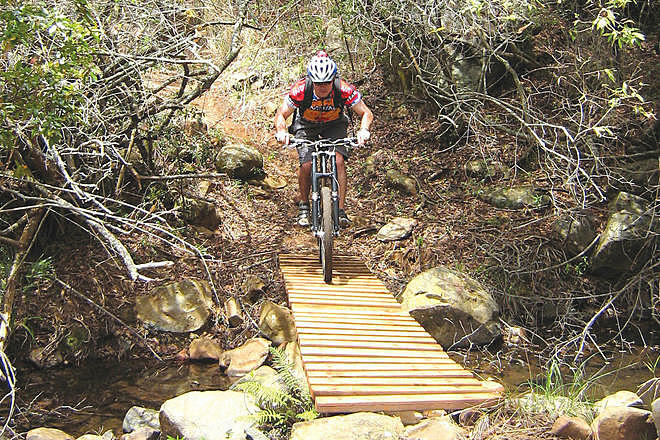 Mount Anderson Ranch is located in the Krantzkloof valley on Mount Anderson. 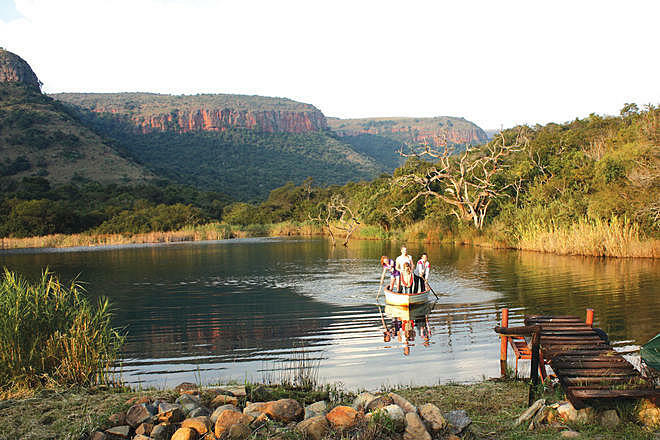 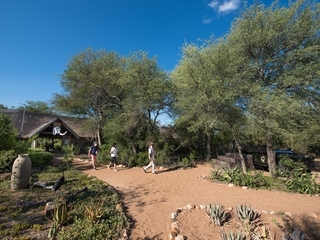 With a luxurious home base and an array of activities that lead guests expertly through the surrounding wilderness, it is an ideal exclusive wilderness experience for families or small groups. 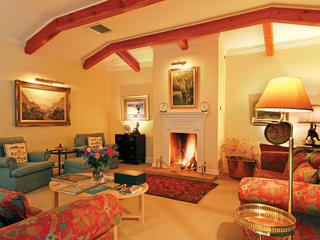 Mount Anderson is taken in exclusivity for a family or small group. 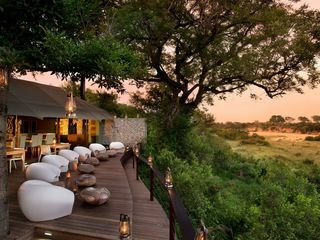 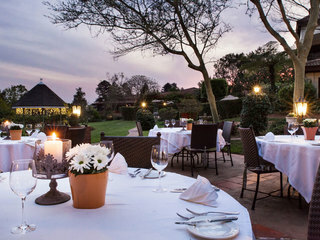 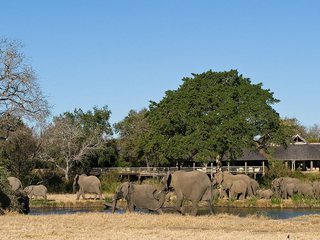 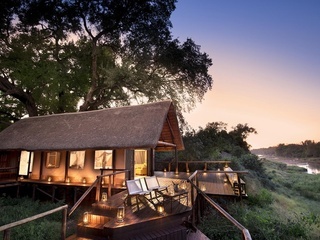 It is located in the northern foothills of the Drakensberg Mountains in the Mpumalanga Province, a 4-hour drive from Johannesburg, and a 3-hour drive from the Sabi Sand Private Game Reserve and the Kruger National Park. 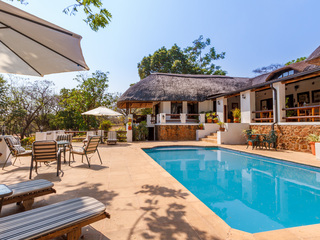 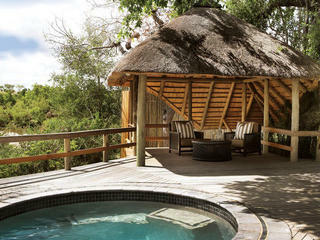 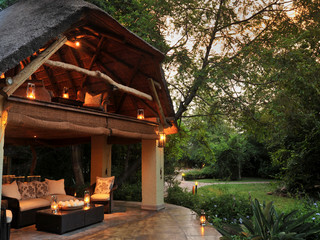 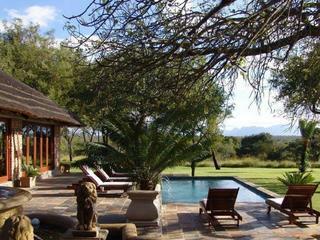 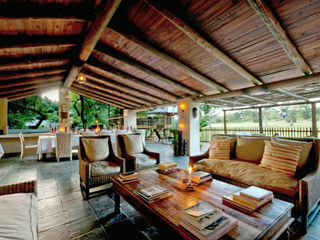 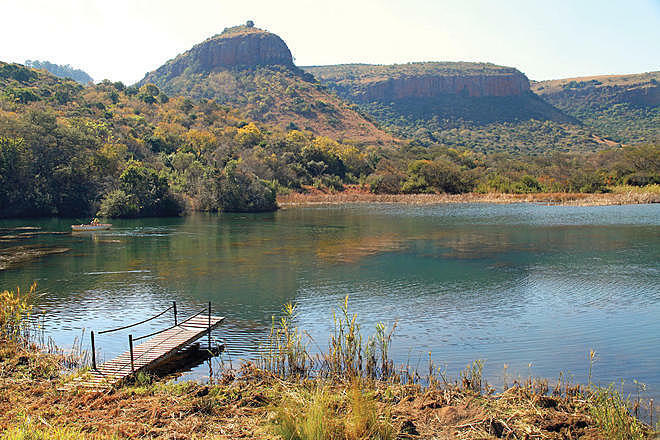 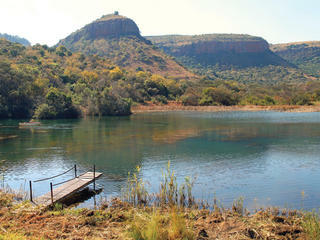 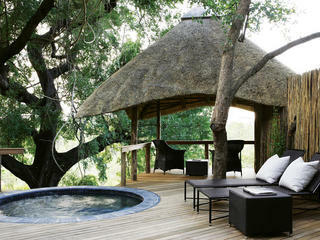 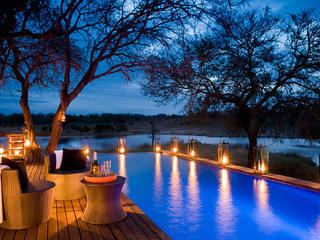 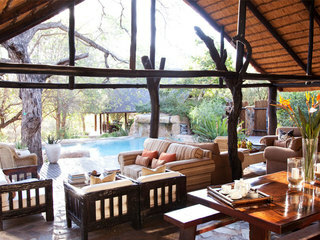 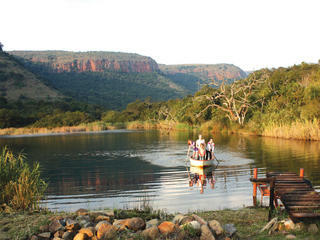 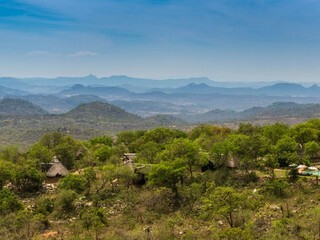 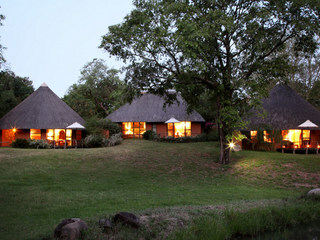 Mount Anderson works well in combination with a stay in a more wildlife intensive safari reserve in the Kruger area. 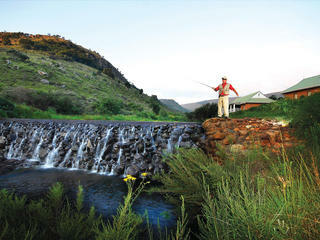 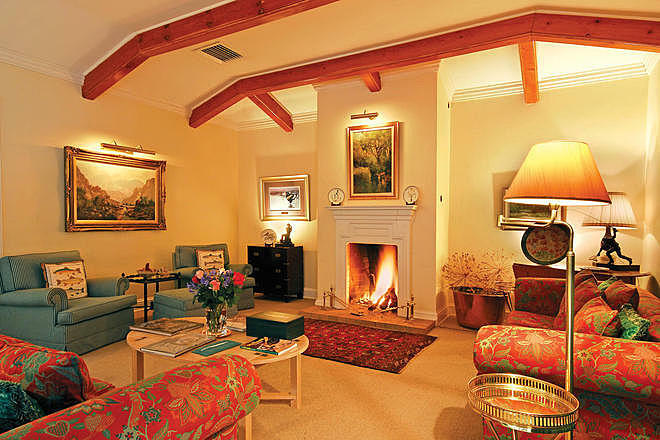 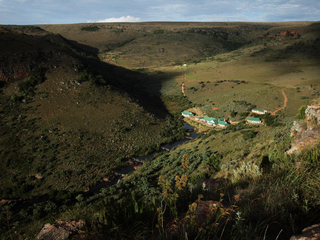 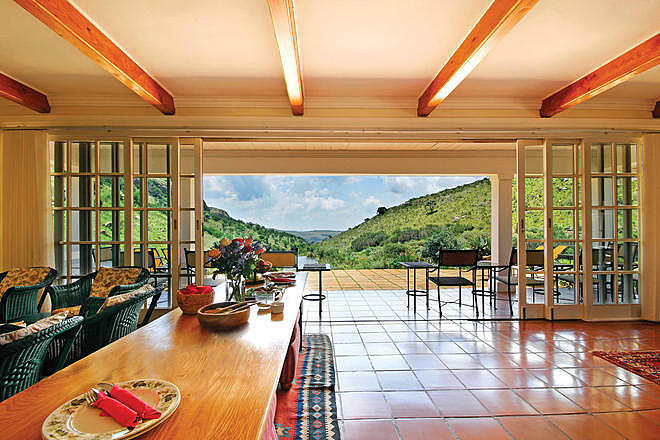 Guest accommodation consists of a pink stone, ranch-styled homestead called The Golden Cottage. 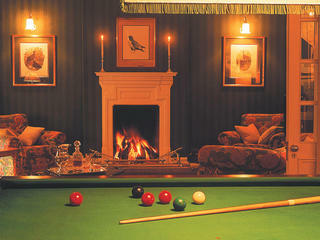 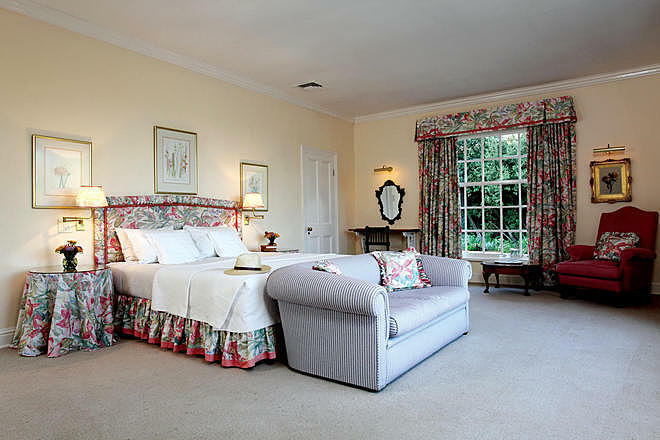 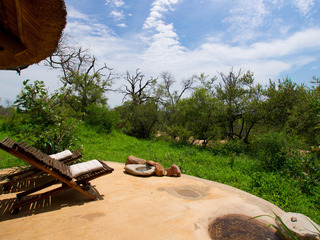 There are six luxurious rooms that accommodate a maximum of 12 guests, all with en-suite facilities. 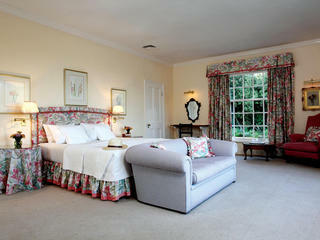 The rooms are divided into: three double/twin rooms; two triple family rooms; and one twin B-grade room, each with its own private verandah. 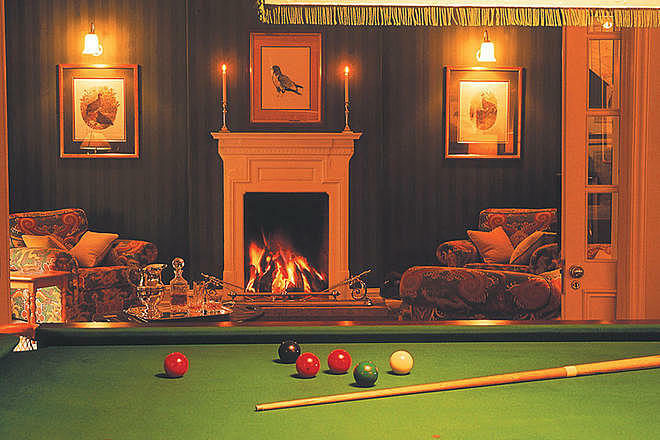 Two spacious lounges, an elegant dining room, a fully-equipped snooker room, and a terrace overlooking the tiered trout pond constitute the communal areas in the Cottage, offering guests comfortable living as well as spectacular views of the surrounding mountainside. 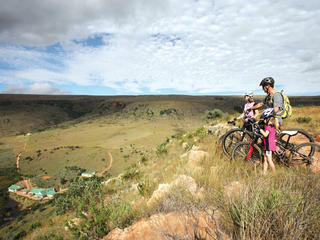 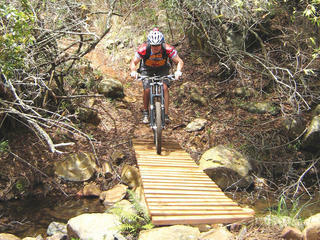 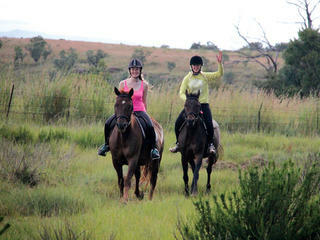 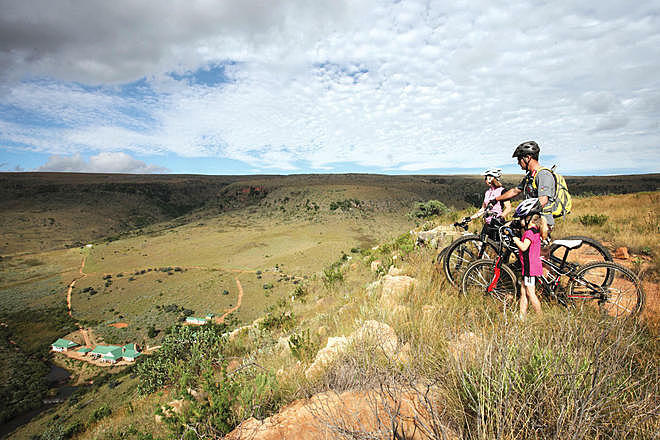 There is a range of outdoor activities for all the family around the Ranch. 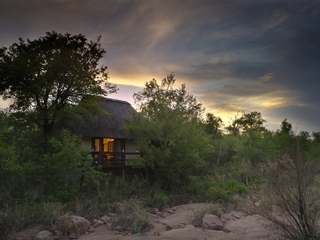 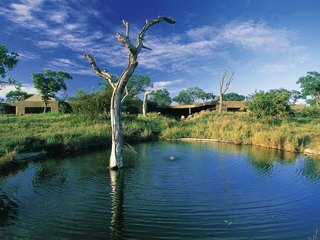 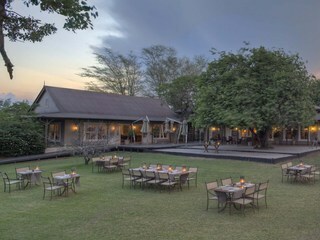 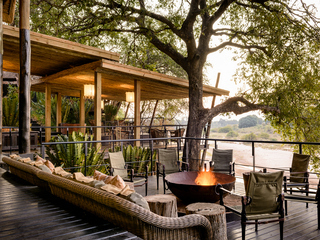 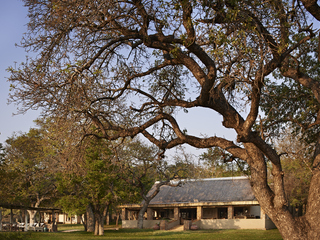 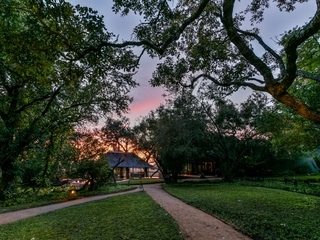 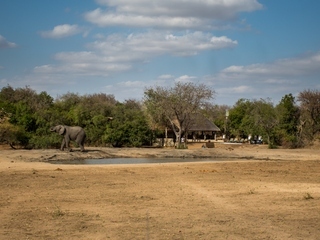 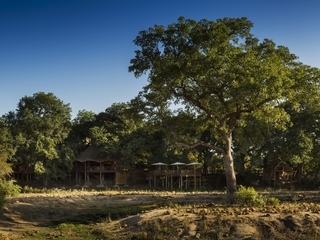 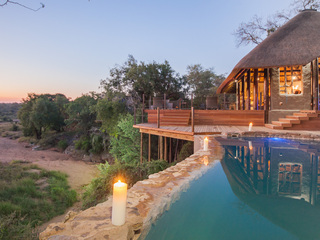 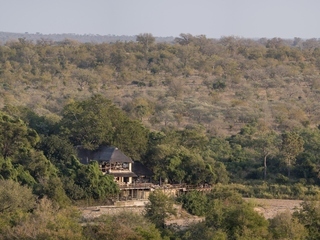 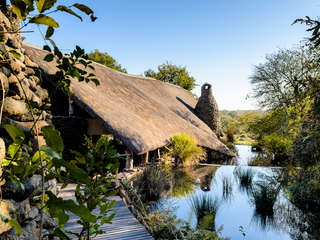 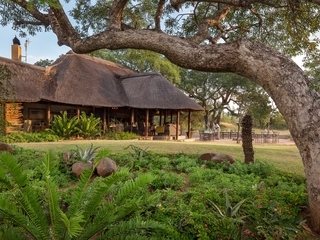 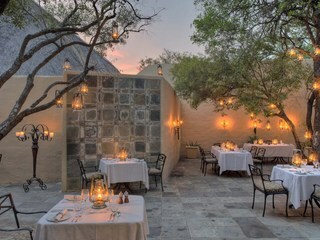 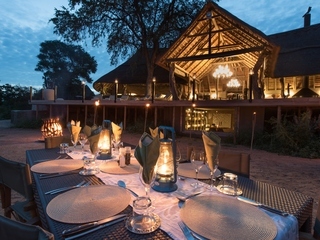 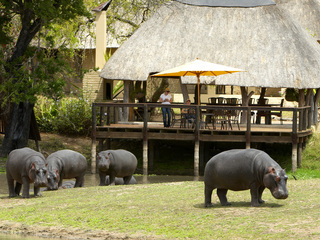 Guests can fly-fish in the river running beside the Cottage, go clay-pigeon and air rifle shooting, and participate in a camera trap, which reveals the unique nocturnal activities of nearby predators such as brown hyena and leopard. With so much surrounding wilderness to explore, the Ranch offers guests a number of ways to traverse the land. 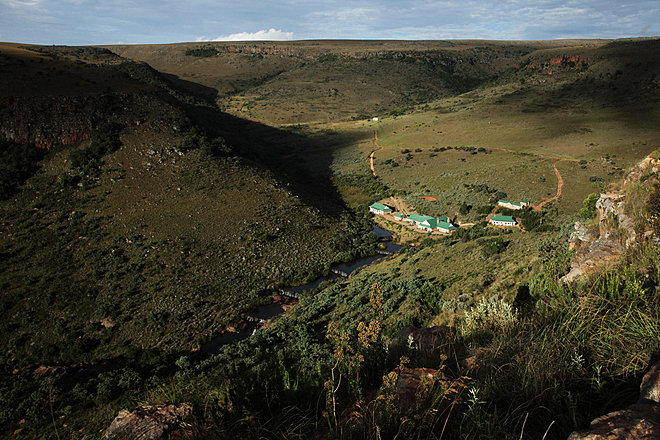 Wildlife safaris are undertaken in the mountains on the reserve by 4x4 or by foot, and horse riding gives guests the opportunity to trot around the valley. 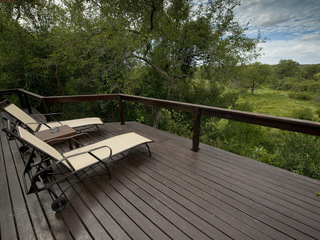 Guests can also expect to spot indigenous birdlife such as the malachite sunbird, the Cape vulture, and the fish eagle among many others. 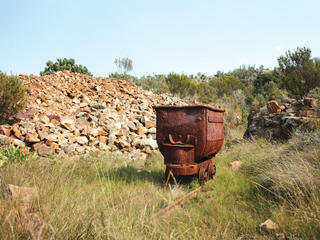 Hiking trails are another great way to explore the area in more detail. 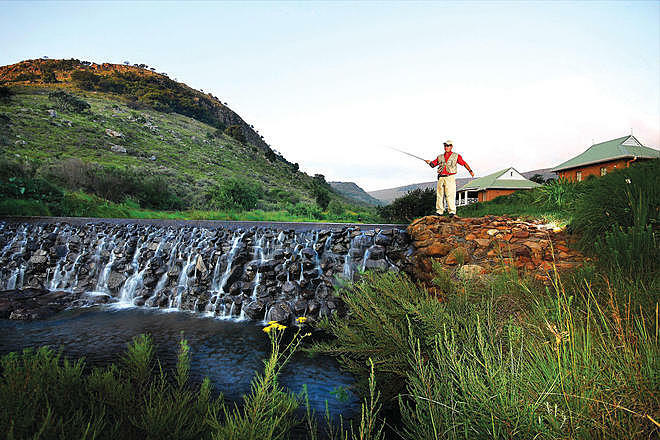 The nearby Mount Anderson Water Reserve is said to be a botanist’s dream with diverse indigenous flower life spread throughout the property. 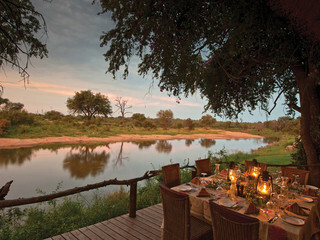 Accompanying guests all the way is an expert guide, whose experience is tailored to fit the wants and needs of the family or group. 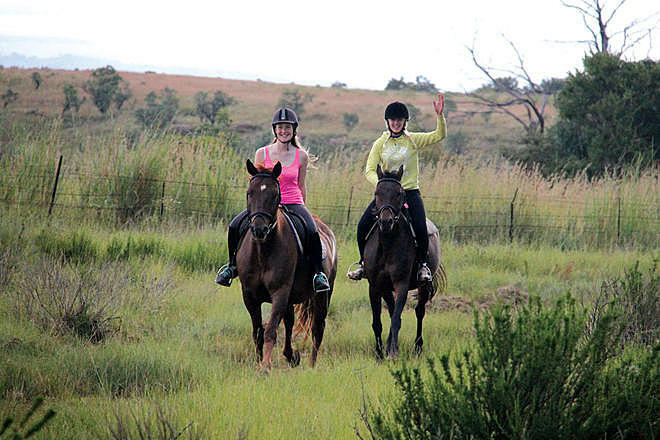 Children aged 8 years and above are welcome at the Ranch, and all the activities are suitable for them or can be tailored to fit their needs. 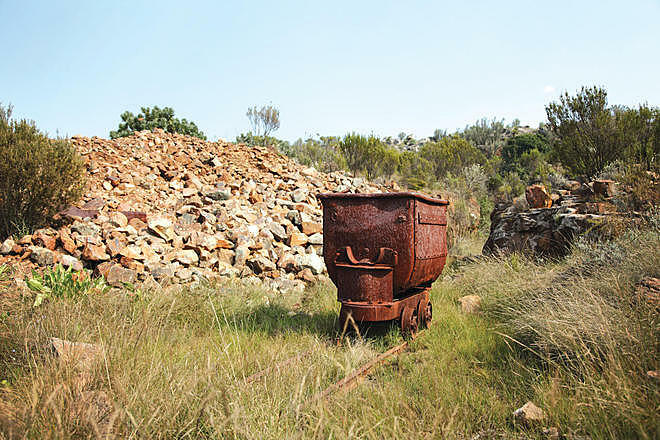 In particular, the Ranch treasure hunt, picnics, and trips to relics of the gold mining era, where children learn orientation skills and can mine for gold, are hugely enjoyable activities.